Royal Voluntary Service Country Cars provides transport for journeys, for people who can't get there any other way. 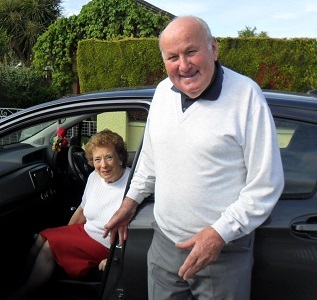 The scheme uses volunteer drivers who drive their own cars. Who can use the service? Any Pembrokeshire resident who does not have access to a car or public transport. When does the service run? Each week day - and some weekends, if a driver is available. Where will I be picked up? Wherever you choose! e.g. at your home, from your Doctor's surgery, from the train station. Where can I go? Within a 40 mile radius, anywhere except hospital consultant appointments. Can you take my wheelchair? We can take customers in their wheelchair in one of our accessible vehicles. How much does it cost? Fares are more or less equivalent to public bus fares and you can use your bus pass which will allow you to travel at half the fare. You will be given a local phone number to call each time you need a car. Please give at least 48 hours notice if possible.